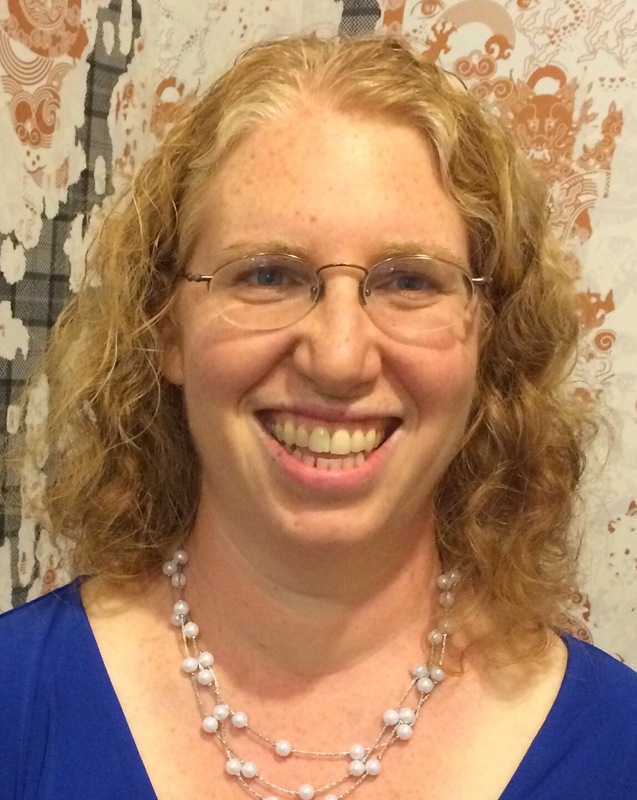 Today, I’d like to welcome Esther Goldenberg, who is here to discuss her debut novel, Hypatia Academy, and her writing process. Twelve-year-old Hope was having a good year so far. She enjoyed hanging out with her friends and playing with her dog, Zamboni. Then one day, everything changed. Hope was taken to the mysterious Hypatia Academy where she found invisible bullies, ancient magic, and even little green men. It is Hope’s mission to find the powerful pearl that will save the world from the spirit of the ancient Egyptian sorcerer, Ramus. Her new friends are willing to help her, but will it be enough? 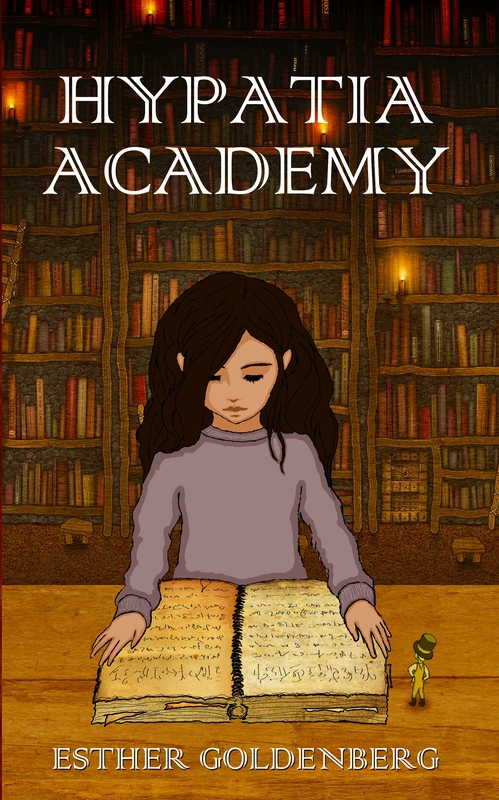 Hypatia Academy is the story of one girl’s unintended quest to find the source of her own strength. Along the way, she learns to confront fear, ask for help, and laugh even when things are tough. Esther, tell us a little about yourself. I live in Maryland, just outside of Washington, DC, with my two daughters and my dog. I was an elementary school teacher for many years. I’ve written several children’s books. 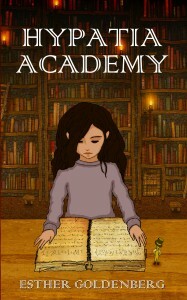 Hypatia Academy is my second book to be published. The first was a text book. Now, can you tell us about the real, historical Hypatia? The real Hypatia lived in Alexandria, Egypt around the year 400. She was unique in that she learned and taught astronomy, mathematics, philosophy, and other subjects. In those days, women didn’t have that opportunity. But her father taught her, and she later became a teacher. Unfortunately, it upset many people that she was educated, and in the end, she was stoned to death. What was your inspiration for Hypatia Academy? There were two main things that were the inspiration. One was the story of Hypatia herself. I thought it was an interesting story, and one that I had never heard before. The other was the desire to show a female main character who liked math and was strong. I wanted to write a girl who other girls could see as a role model. We all go through difficult times. Hope’s challenge was a quest to save the world. Thankfully we’re not all in that position, but we can all use role models. What is your writing process like? Are you a plotter, pantster, or something in between? I wrote the beginning of Hypatia Academy many years ago. After that, I wrote the book out of order. I had a general sense of the story in my head and I wrote scenes as I thought of them. There were some parts that I knew were going to happen, the talent show, for example, and I held a place for them but didn’t write them until after I’d written the ending. Once I’d written the main parts, I went back through and filled in some of the scenes. I eventually made an outline when the book was about 75% finished in order to make sure I got everything in the right order and didn’t leave anything out. As a teacher, I’m a firm believer that students – kids and adults – need to explore and find what learning and working styles work best for them. What works for some people won’t work for others. If I’d had to write Hypatia Academy in order, I’m not sure I would have been able to do it. Writing it this way worked well for me. Kornelius was definitely the most fun character to write. He adds humor to the whole book and I loved inventing silly things for him to do. It was also great to write someone who could do things that people can’t do – like dash off and get a flashlight and be back before the door closes. The challenging thing about writing Kornelius’ dialogue was remembering to write in his unique way of speaking. Next is a series called My Nutty Family. My Nutty Family stars Norm. Norm is short for Norman, but also short for normal. That’s perfect for him, since he’s the only normal one in his family. That’s what he thinks, anyway. The reader quickly realizes that Norm is just as nutty as everyone else in his family. This series is mostly aimed towards third and fourth graders who struggle with reading. This is a population which often has trouble finding good books to read because the books at their reading level are boring for them, and the books at their interest level are too hard to read. My Nutty Family is easy to read, but funny enough to keep older kids laughing. Younger readers will love it, too. Thanks for the interview, Esther! I love that you’ve brought Hypatia out of the lost depths of history, and My Nutty Family sounds like a lot of fun, too! You can find Esther at her website — and Hypatia Academy on Amazon. I agree! So glad she gets to live on in Hypatia Academy. How horrible Hypatia was eliminated because she was educated. Gosh, I’m glad mankind has moved forward in this area. 🙂 I love that you’ve encompassed the story around the Egyptians. It was great to meet you, Esther. Best of luck with Norm! I hadn’t heard of Hypatia. What was fascinating and tragic story. I love the idea behind this story! Congratulations! I’d never heard of Hypatia! Wow, what a sad thing. But Esther’s book sounds great! I’ll definitely have to check it out. 🙂 Great interview! I think we all feel like we are the only normal ones in our family. Great idea for a story. Congratulations, Esther! I’m definitely the only normal one in my family. 🙂 Thanks! These sound like great books! I’ll be adding them to my Goodreads TBR. Good luck Esther and thank Dianne for introducing her and her fabulous books to us! This sounds terrific! I just bought it for my 9-year-old son who loves Egypt. Thank you! Thanks! I hope he loves it. If you want to send me a picture when he gets it, I’ll post it with other kids on my Facebook page. I was interested to read how the book was developed out of order. Lovely when it all comes together, isn’t it? Thanks. It is a great feeling when the pieces come together.Fun for me to read it in order, too. I know there are lots of kids that need good books to motivate them to keep on reading, and bought my son comics to encourage him. Of course, now he’s an anime freak. Who knew? I can relate! For my daughter it was getting through her first Star Wars book. Now I can’t count how many Star Wars books she’s read. I’d never heard of Hypatia. Glad she’s introducing it to a new generation of readers. And I LOVE the fact that she has geared it toward those who have trouble learning to read. This book sounds like it’s exactly up my alley! Putting it on my to-read list right now. I love the inspiration – I did not know about Hypatia. What a woman ahead of her time! Congrats, Esther on your first fiction release! So happy for you. Here’s to branching out and trying new things, eh? Thanks. It’s been a wild ride. This looks and sounds really cute. Congrats! Great that you are introducing this to youngsters today. All the best! I love the background of Hypatia – and how you bring her strength of spirit and intelligence to light for girl readers in the main character’s story! girl power! and Dianne – thanks for stopping by one of my Simulation blog tour posts! It sounds like this book and the series to come both have what it takes to make kids laugh while (gasp!) teaching them something. Just the kind of book we want our young people to read. Here’s wishing Esther much success with them.